While Sega were absolute trailblazers of the video game industry in the '90s, not everything they did was a success. Take for instance, the 32X, which was an add-on for the Sega Genesis meant way of transitioning from 16-bit to 32-bit gaming, but was discontinued a mere two years after its release thanks to poor sales. Among the 32X's problems was its limited number of games. 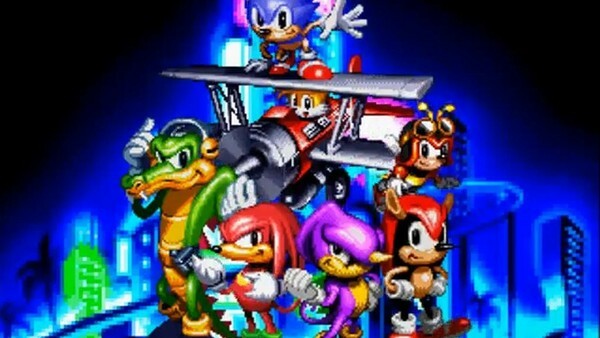 And even some of its good titles, namely Knuckles' Chaotix, were still rather lacking compared to Sega's other releases. Staring Knuckles the Echidna, Knuckles' Chaotix's gameplay was passable, but definitely had its faults. The level design was very hit-and-miss, there was little to no real challenge, and the tethering mechanic, which brought parts of the game to a complete halt, received more than its fair share of criticism. You get the impression that Sega was trying to innovate on the Sonic formula, but got a bit too ahead of themselves.